Publisher: Belle Books, 2012 (audio). Original published Bell Bridge Books 2009, 308 pages. Wine. Chocolate. Transvestite strippers. Just another good-time get-together for the Dixie Divas of historic Holly Springs, Mississippi, where moonlight and magnolias mingle with delicious smalltown scandal. But Eureka "Trinket" Truevine, the newest Diva, gets more than she bargained for when she finds her best Diva girlfriend Bitty Hollandale's ex-husband in Bitty's hall closet. He's dead. Very dead. Now Trinket and the Divas have to help Bitty finger the murderer and clear her name. If I live to be a thousand, I don't think I'll ever understand the Southern Belle. * Fortunately, that isn't necessary to enjoy this fast-moving and slightly absurd story. Trinket is an engaging narrator, just enough of an outsider after 25 years away from Holly Springs to allow her to comment on local customs. She is also not, as she wryly notes, a belle, possibly because she has too much common sense, though that deserts her at just about every crucial moment in the book. The writing is sharp, but I did have some issues with the story, which required just a little too much suspension of disbelief, not to mention annoyance at foolish if not downright stupid behavior (which of course isn't necessarily unrealistic). I nearly quit reading (listening) when the Divas started moving the corpse around, but was glad I stuck it out, as this violation of the law (if not of decency--I don't think the dead guy deserved any better) was dealt with at least somewhat realistically, and the mystery was resolved in an interesting and reasonably convincing way. The denouement wrapped things up well, without leaving any bad feelings. This wasn't the best mystery I read this year by a long shot, but the story was engaging and was well-read by Ms. Commins, who managed a wider range of southern accents than this northwesterner knew existed and did a good job of keeping the characters distinct and consistent, though the secondary Divas blended together a bit, which didn't really matter. For die-hard fans of the southern belle mystery, and are willing to deal with a bit of unreasonable behavior. There is a decent sense of place and history, which I found appealing. *I in fact don't really understand most females, which can be a bit awkward at times, as I am one. Full Disclosure: I was given a copy of Dixie Divas by the narrator in exchange for my honest, not my favorable, review. The opinions expressed are my own and those of no one else. I am disclosing this in accordance with the Federal Trade Commission's 16 CFR, Part 255: "Guides Concerning the Use of Endorsements and Testimonials in Advertising." Greetings, Rebecca! Thanks so much for taking the time to listen to my audiobook and write this detailed review. I'm glad you enjoyed the book. 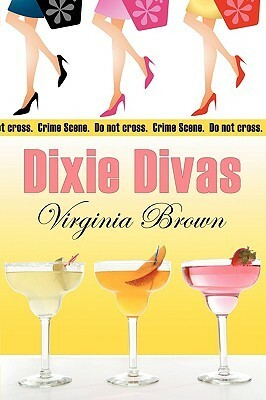 I love narrating the Dixie Diva series! The mysteries are never very serious, and the dialogue is so funny at times that I have to stop recording! Please let me know if you'd like to hear other books in the series or any other book I've narrated. Thanks again for your interest! Karen, thanks for coming by and providing the link! I always wondered if sometimes narrators had trouble with giggles!